But according to the Bridgespan Group, most nonprofit staff are NOT being groomed for leadership, and only 33% of the time do people from inside the nonprofit even attempt to fill senior leadership level positions. More than that, according to the 2013 Compasspoint Underdeveloped Report, 21% of development directors in small nonprofits are looking to move out of their current position, and 29% expect to leave the field of fundraising in the next 5 years. That means that if you’re in your first fundraising job now, odds are you’ll have another 2-3 jobs in the next 5 years. That means you need to get savvy on how to get the right fundraising job for you. Don’t get stuck in a bad situation! But how can you recognize a bad situation? 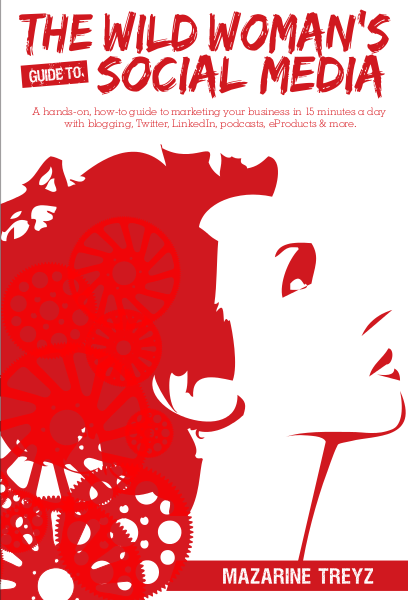 This book will show you how, right in the interview. This book represents the culmination of all of my years of experience looking for fundraising jobs, from how to create a killer cover letter to how to ace the interview. From speaking your truth at work (and calling out dysfunctional organizational culture), to how to succeed in your first 80 days. How do I know all of this? Because girl I have been there! I have been a development assistant, a development associate, a development officer and a development director, as well as a co-founder of a nonprofit and a development consultant. I’ve run big galas, career fairs, auctions, outreach festivals. I’ve written appeal letters and gotten grants. I’ve designed annual reports, marketing materials, and more. In this book, you will get advice and materials that are easy to use and created especially for you, the busy fundraising professional. How to relate unrelated experience on your resume. How to ask good interview questions to find out if your boss will be a bully. 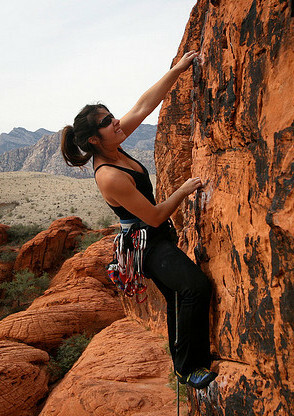 Case studies of how people stepped into leadership roles at nonprofits. The three conversations you MUST have with your boss to be successful. How to negotiate for a higher nonprofit salary, AND MORE! 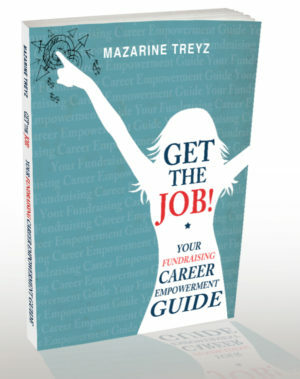 For only $39.97, you can get a clear roadmap to succeeding in your fundraising career. “I loved your book, Get the Job! In fact, it has helped me get two job offers and negotiate a raise since I bought it. 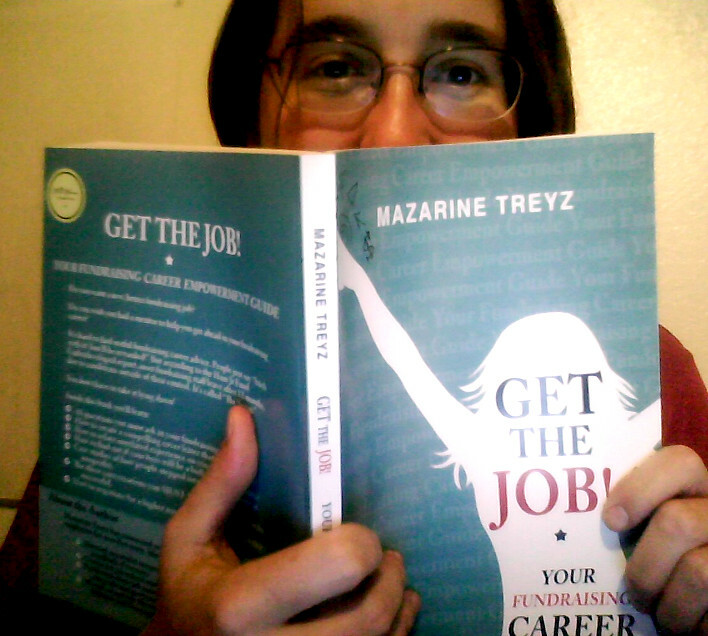 Your book helped me write excellent cover letters and resumes and ask the right questions during interviews. I decided the first offer wasn’t the best fit and turned it down, but am very excited to start my new job soon. I will be re-reading the chapters on setting realistic expectations at my new job, which is part of a start up foundation for a university here in the UK (hard to believe there are still universities out there not in the fundraising game). What are people on Twitter saying about the book? Moved on up from Development Assistant to Development Director and Development Consultant. What’s inside the book? I’m glad you asked. Here’s the table of contents. What Skills Do You Need to Be a Good Fundraiser? What Kinds of Fundraising Jobs Are There? Why Are We Paid So Little? Do You Have a Super Job? How Can You Climb The Ladder? Don’t Be a Leader. Be a Builder. Why Sit On a Board? Do You Have Any Thought-Terminating Cliches? Managing Up, What Does it Mean? Aw Girl, Are You Jaded? Are You Obsessed with Saving the World? What Are Your Attitudes About Money and Value? Leader v. Builder? Um, yuppers! Referencing the Mudrashram Institute? Wtf?! And may I say how needled I am by Needleman? You, dear Mazarine, are my compatriot, my mentor, my Guide. I burst with gratitude for the cache of knowledge gained, and emotional/spiritual sustenance received as a direct result of our association. My name is Susan and I have used your invaluable book over and over again. It has been hugely helpful in pushing my candidacy for several jobs I never thought I could get near. Thank you!!! I’m very far along in the interview process for a Development Director position for a performing arts venue at a very well regarded university. Thanks for everything!!!!! Your book has been a godsend! Get the Job! 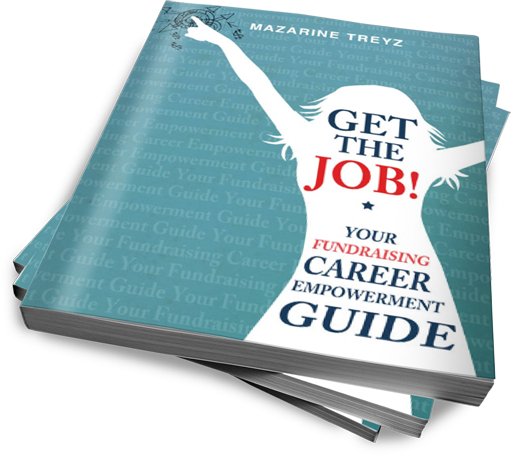 Your Fundraising Career Empowerment Guide is for you….from the absolute beginner to the seasoned professional. Delivered in the frank, dynamic and empowering way which we’ve come to expect from Mazarine, this book has a lot to share with any and all readers. Tips in the book will get you to take a good hard look at where you are, where you want to go and what you absolutely must do to if you want to find a job you’ll love where you are appreciated and adequately compensated. You’ll be presented with strategies for beginning and sustaining satisfaction and success in a new job. Get the Job! is the real deal, no bull scoop on what it means to be a fundraiser, how to do what is needed to get the job and how to be happy once you are there. 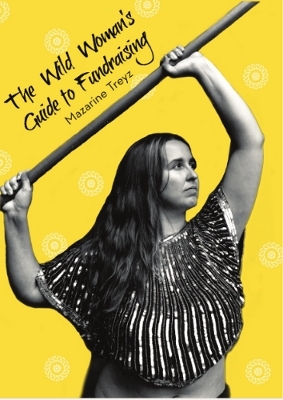 This is the stuff that other authors are not covering because Mazarine Treyz is invested in the long-term happiness of each fundraiser who reads the book and elevating the fundraising industry. That is immediately apparent when you start to read this very valuable title.